Mr. Worldwide will celebrate his 38th birthday at the grand opening of his new Latin Steakhouse, iLov305 in Miami, FL on Tuesday, January 15th! The event is dubbed the Inaugural Ocean Drive & 11th Bash and it will feature music from IAmChino (host of The Most Winning Tuesdays at iLov305). The celebration is sponsored by Pitbull’s Vodka brand, Voli305. To attend the birthday celebration, book a reservation by emailing info@ilov305.com or by calling 1 (305) 535-9771.
iLov305 is located at 1060 Ocean Drive in Miami, FL 33139 inside the Bon Air Hotel in Miami Beach. Mr. 305 has teamed up with The Sugar Factory to debut the cocktail and nightlife concept, iLov305, where tropical Latin cuisine meets American comfort food. The multifaceted venue’s slogan is “Where What Happens, Never Happened”. 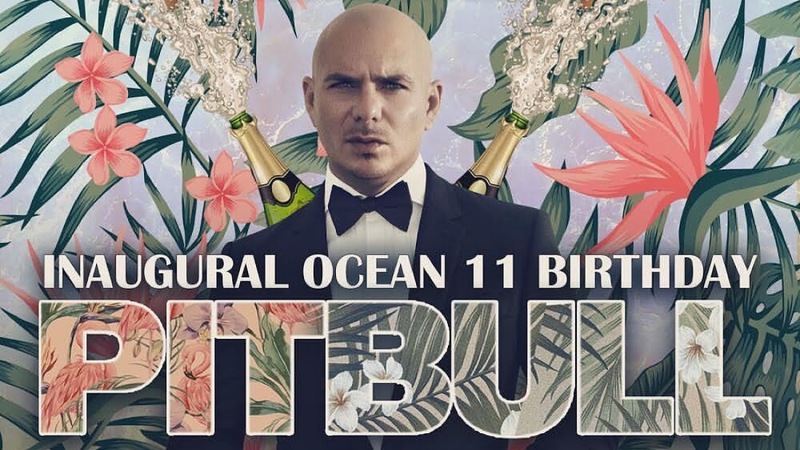 The restaurant will house a main dining area, three VIP rooms, a private lounge, and four bars serving cocktails that reflect Pitbull’s energetic and upbeat persona. Guests at iLov305 can order from a diverse, approachable menu created by Chef Bryan Ogden. To view the menu, click here. For more information, visit iLov305.com.